Alfred Stepan is Wallace S. Sayre Professor of Government at Columbia University and founder and director of the Center for the Study of Democracy, Toleration, and Religion. He has written extensively on democratic transitions, military regimes, and the relationship between religion and democracy in countries throughout the world. His theory of the “twin tolerations,” which argues that healthy democracies require religious leaders to grant authority to elected officials, and that state authorities must not only guarantee freedom of private religious worship but allow democratic participation in civil and political society, has influenced political theorists, heads of state, and grassroots activists. 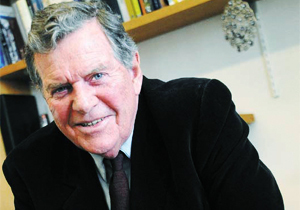 This coming July, the International Political Science Association, at its World Congress in Madrid, will present him with the Karl Deutsch Award, conferred every three years to a scholar in recognition of his or her outstanding achievements in comparative research and theory. We met at his office in the School of International and Public Affairs at Columbia University, where we discussed his theory of the “twin tolerations,” the democratic transitions taking place in Tunisia and Egypt, and how he became interested in religion and secularism. JB: You recently co-edited a volume, Rethinking Religion and World Affairs, that emerged from an SSRC working group you chaired. You have an essay that appears in the volume, “Religion, Democracy, and the ‘Twin Tolerations,’” that’s an updated version of an article you published in the Journal of Democracy in 2000. The article was clearly prescient; it’s still relevant for republication today. What got you thinking about democracy, secularism, and religion in the late 90s? JB: So you saw problems with secularization theory and the prevailing theories of democratization. AS: What I was increasingly convinced about was that the relationship between democracy and religion as theorized in the classic studies of secularism was not the norm in many countries that were actually democracies. Classical secularist arguments often entailed an empirical prediction that the role of religion would inevitably decline with modernity, and a normative prescription that it should. In the contemporary world neither the prediction, nor the prescription, seemed defensible to me. What is imperative for democracy, however, is some degree of “differentiation” between religion and the state. But I was convinced that there are many ways to arrive at sufficient differentiation, despite this not having been adequately thought about or documented. I was also aware that among the “first generation” of democratization theorists, such as Adam Przeworkski, Guillermo O’Donnell, Philippe Schmitter, Laurence Whitehead, or even Juan Linz, none of us was then writing on religion and democratization; but this had to be done. I was personally aware of the possibility for theological and political change within religions because Vatican II and Catholicism’s “aggiornamento“ of the 1960s had a significant positive impact on three democratic transitions I had written a lot about: Brazil, Chile, and Spain. JB: Was there a catalyst in the 90s that got you thinking about religion when not a lot of other people were? It is hard to say there was one catalyst. But I do remember a conversation with Ernest Gellner in the mid-90s in Budapest that encouraged my pursuit of the possibility for arrangements like the twin tolerations. I was the first president and rector of Central European University and Gellner was the director of our Center of the Study of Nationalism. Gellner was one of the most famous theorists of nationalism and one of his many specialties was Islam. We disagreed on many issues but had numerous friendly exchanges. Gellner had a theory that Muslims were “secular resistant,” and if you’re going to have democracy in a Muslim-majority country you needed a version of secularism rather along the lines of French läicité. For this to endure, the military had to be the “reserve power” and the meta-constitutional force upholding secularism. So, if democracy is to exist in a Muslim country it’s got to be like Turkey. Turkey had a series of military coups d’état, many of them to control Islam, in 1960, 1971, and 1980. 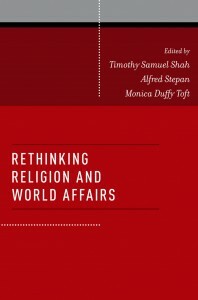 I felt uncomfortable with Gellner’s conclusion because I had often been exposed to such essentialist arguments about Catholicism being “secular resistant.” I had also written a number of books on transcending military-controlled regimes and disliked any idea of the permanent indispensability of the military. My current research leads me to many anti-Gellernian findings. I show how Indonesia has had a “twin tolerations”-friendly approach to religion, the state, and democracy since 2000 and, unlike Turkey, no coups. Senegal’s version of “twin tolerations,” involving democracy and mutual “rituals of respect” between secular state officials and Sufi religious leaders, is also unlike Turkey; again, no coups. Turkey itself, in some important ways, has become less Gellnerian. In the 80s and much of the 90s, the Turkish army was pro-Western Europe and most Islamists were anti-Europe. However, once the moderate Islamist AKP became the ruling party in Turkey, in 2002 via elections, many of their leaders realized that they had a chance to rule Turkey democratically. They also saw that the norm among European Union members was that religious people have some legitimate role to play in civil society and even in political society. Also, the book by Stathis Kalyvas, The Rise of Christian Democracy in Europe, and my writing on “twin tolerations” reinforced this view. More and more, AKP leaders realized that European countries had a religiously-friendly form of democracy, but that Turkey, since Attatürk, had a form of authoritarian secularism imposed from above with military help; and they came to believe that joining the European Union would be better for religious freedom in Turkey. For the same reasons, the military became less pro-Western Europe. JB: What does a healthy relationship between democracy and religion look like? AS: My reflections on the ten-year book project I recently published with my co-authors Juan J. Linz and Yogendra Yadav, Crafting State Nations: India and other Multinational Democracies, increasingly guided me toward thinking about the “multiple secularisms” implicit in the concept of the “twin tolerations.” The book is principally a “primal scream” against the French idea of a nation-state with one hegemonic language and one hegemonic culture for countries that are in fact multinational. Some of the findings in the book, from one of the largest census-based surveys in the world (27,000 individuals in India, 10,000 in Pakistan, 10,000 in Sri Lanka, and 10,000 in Bangladesh) are illuminating. Again and again we document that “multiple and complementary identities” are often the norm. Concerning religion, we created an index of the intensity of religious practice, with three dimensions to the index, and we also created another index of intensity of support for democracy, again with three dimensions taken into account. We did this to test an increasingly accepted hypothesis in India that the more intense the practice of Islam, the less the support for democracy. Many analysts were also worried this was happening among the Hindus, given the Hindu nationalist BJP. We found that in India, among each of the four major religions, the greater the intensity of religious practice, the more the support for democracy. How solid is this finding? It is a Pearson Chi-squared three-star finding, which means that there’s one chance in a thousand that this pattern happens by chance. It’s been replicated in Indonesia; Indonesia is the same. Elsewhere I have looked at compulsory paid religious holidays in “separatist” pattern countries (France and the United States), in countries with “established church” patterns (Denmark, Norway, and Sweden), and in countries with what I call a “positive accommodation” pattern (Germany, the Netherlands, and Switzerland). In these eight democratic countries there are sixty-one compulsory paid religious holidays for the majority religion, which is Christianity. They have zero for any minority religion—Judaism, Islam, etc. In Indonesia, the majority religion is Muslim, but they have six such Muslim holidays and seven for other religions. In Senegal, it’s seven holidays for Muslims, but six for Catholics, who represent less than ten percent of the population. Senegal also pays for some Catholics to take a pilgrimage to Rome. In India, where the majority religion is Hindu, there are five Hindu holidays and twice as many for minority religions. The Indian government also grants some subsidies for Muslims to make the hajj (pilgrimage) to Mecca. This is because religion is accepted as a normal part of people’s lives. The state thus deliberately goes out of its way to show respect for the different religions in the country. JB: In April 2012, you published an article, “Tunisia’s Transition and the Twin Tolerations,” in the Journal of Democracy. The article does a great job contextualizing the current transition to democracy, in view of Tunisia’s political history, and of producing information that was not, until your article, in the public domain. Indeed there is an element of almost “breaking news” journalism about the piece. AS: I am honored at the thought that a comparativist can occasionally give “breaking news “to the world. In fact I started my career as a special foreign correspondent for The Economist in West Africa and South America. That was a long time ago, but I still approach research with the tenacity of a journalist and with the aim of discovering new material. I don’t think some political scientists are aggressive enough. I am too often told that “nothing exists on the subject” when what is correct is that nothing is on the net about this. Much of my most interesting new contacts and materials emerged out of interviews with leaders. Two of the most important Islamic political theologians and party leaders, Rachid Ghannouchi, the head of Ennahda in Tunisia, and Adurrahman Wahid, the head of the 40-million member NU in Indonesia, spoke to me several times, which of course was interesting in itself, but since my time with The Economist, such interviews also lead to talks with their rivals. Some scholars are surprised that so many key political activists are willing to talk at length. I work on the assumption that if I can get in the door, and if I seem an informed listener, no one is bored by the story of his or her life. They talk, and if they want to demonstrate a point, they may search in their papers and give me a copy of what turns out to be a little known historical document. JB: Did anything like this happen while you were working in Tunisia? AS: The most original and important insight I gained into why secularists and Islamists were able to make a democratic coalition in Tunisia, unlike their counter-parts in Egypt, emerged precisely like this. Ghannouchi had told me a number of times that he, and other major Ennahda leaders, had talked to major secular leaders about overcoming the obstacles so as to enable them to jointly resist the dictatorship of Ben Ali and possibly pave the way to a democratic transition. But no documents were forthcoming in my first visit in March 2011, or my second visit in June 2003, but on my third visit, after the successful elections that produced a Constituent Assembly, four of the five largest parties in the Constituent Assembly—moderate Islamist Ennahda and three secular parties—gave me documents, often signed and with their Party leadership position. I have written about this in my Journal of Democracy article and in a previous contribution to The Immanent Frame. Here I only want to stress that these parties had met regularly and often secretly since their first meeting in Aix-en-Provence in France in June 2003 and hammered out “twin toleration” types of agreements on the formation of a sovereign space for democratically elected officials and a space in civil and political society for democratic Islamic activists. The process was surprisingly like the one in Chile in the eight years before the defeat of Pinochet. In Chile, the socialists deeply distrusted the Christian Democratic party, which had supported the coup by General Pinochet in 1973. For their part, the Christian Democrats felt that the Socialists had contributed to what they saw as growing violence under Salvador Allende. But in the early 1980s both the Christian Democratic and the Socialist parties were in opposition to Pinochet and began meetings similar to those that occurred later in Tunisia. From my conversations with key participants in the Chilean talks and in the Tunisian talks, the continuing dialogues made possible the democratic coalitions that followed free elections in both countries. To date in Egypt, no talks comparable to those that began in Tunisia in 2003 have yet taken place. Given the enduring mutual fears of secularists and Islamists in Egypt, both sides, in lieu of dialogue with each other, have frequently made what I call “Brumairian” compromises with the military. Joseph Blankholm is Assistant Professor of Religious Studies at the University of California, Santa Barbara. His research and writing focus on atheism and secularism, primarily in the United States.